Is it possible to get increased visibility while using less energy? With the HID Headlights that come standard on the 2018 Ford Focus2, the answer is yes. On the 2019 Chevrolet Cruze, those brilliant, energy-efficient HID headlights are a pricey add-on. 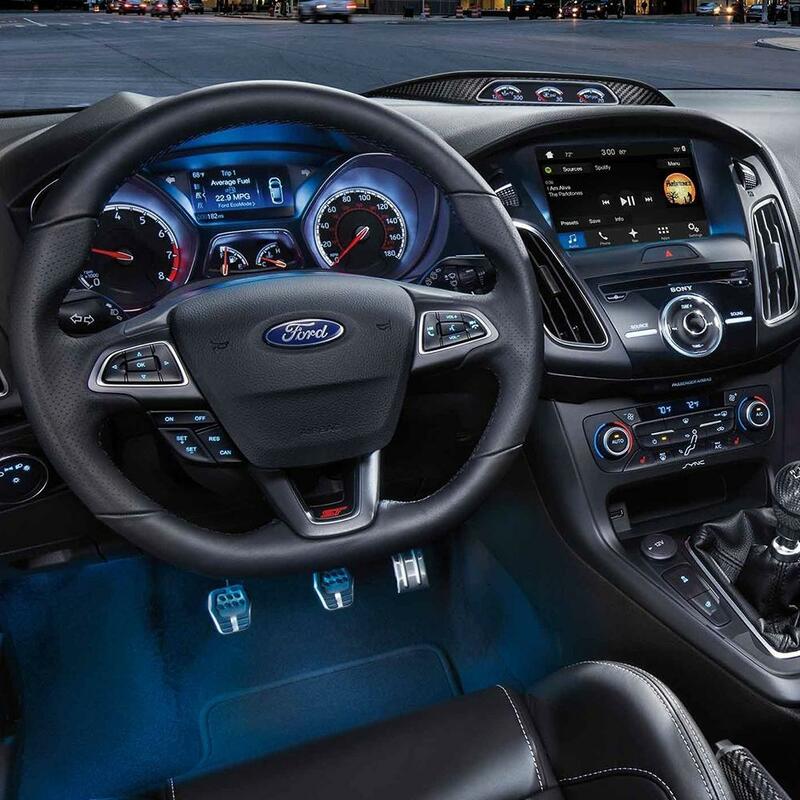 The refinement and luxury of leather seating is a standard feature in the 2018 Ford Focus3, but it's only available as an add-on option in the 2019 Chevrolet Cruze. A match made in heaven: warm in one zone, cool in another, giving each occupant control over their own climatic comfort. On the 2018 Ford Focus4, multi-zone climate control comes standard... but not on the 2019 Chevrolet Cruze. Getting where you're going has never been easier, with turn-by-turn directions and other features of the 2018 Ford Focus's2 standard on-board navigation system. 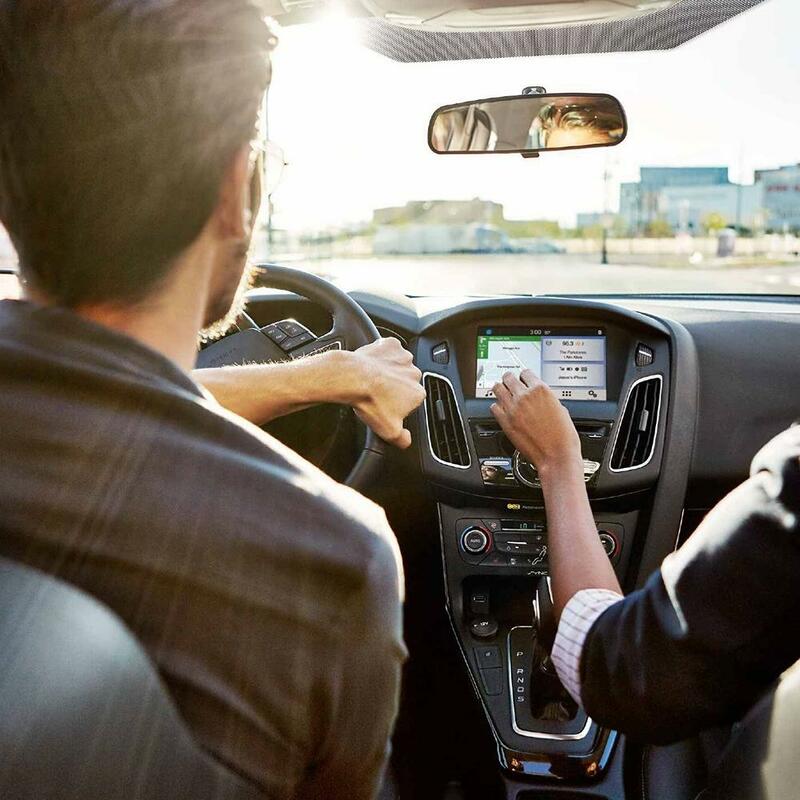 If you want the convenience and peace of mind of an on-board nav system in the 2019 Chevrolet Cruze, you'll have to pay extra for it. A state-of-the-art premium sound system designed with audiophiles in mind - enjoy concert-quality sound standard on the 2018 Ford Focus4. Want it on the 2019 Chevrolet Cruze5? You'll have to pay extra. The 2018 Ford Focus's4 standard sunroof lets the light in on even the gloomiest day. Sadly, the 2019 Chevrolet Cruze's5 sunroof will cost you extra. Want more power and higher top speeds? Consider the 2018 Ford Focus6, boasting 197 more horses than the 2019 Chevrolet Cruze7. You're in complete control with a manual transmission, standard on the 2018 Ford Focus8, but not on the 2019 Chevrolet Cruze. Tired of hunching over the steering wheel, or scooting the driver's seat all the way back? No worries. The 2018 Ford Focus10 offers 2 more inches of combined front head and leg room than the 2019 Chevrolet Cruze7, making the awkward hunch-back driving pose a thing of the past. Offering 2 more inches in combined rear head and rear leg room than the 2019 Chevrolet Cruze7, the 2018 Ford Focus8 is roomy enough for even the tallest of your passengers to travel in comfort. Bye-bye cramped "airplane-legs," hello rear passenger comfort. The 2018 Ford Focus8 is so confident in their materials and workmanship, they'll pay for the cost of perforation repairs for 2 years longer than the 2019 Chevrolet Cruze7 - quite a consideration for drivers who live in climates where corrosion is a risk. 9 - Learn more at: http://www.safercar.gov/Safety+Ratings. The 2018 Ford Focus's8 optional active Blind Spot Monitoring System warns you when a vehicle enters your blind spot, providing a little more peace of mind. Want that extra security on the Civic Sedan? Blind Spot Monitoring isn't even an option on the 2019 Honda Civic Sedan. Is it possible to get increased visibility while using less energy? With the HID Headlights that come standard on the 2018 Ford Focus2, the answer is yes. On the 2019 Honda Civic Sedan, those brilliant, energy-efficient HID headlights are a pricey add-on. 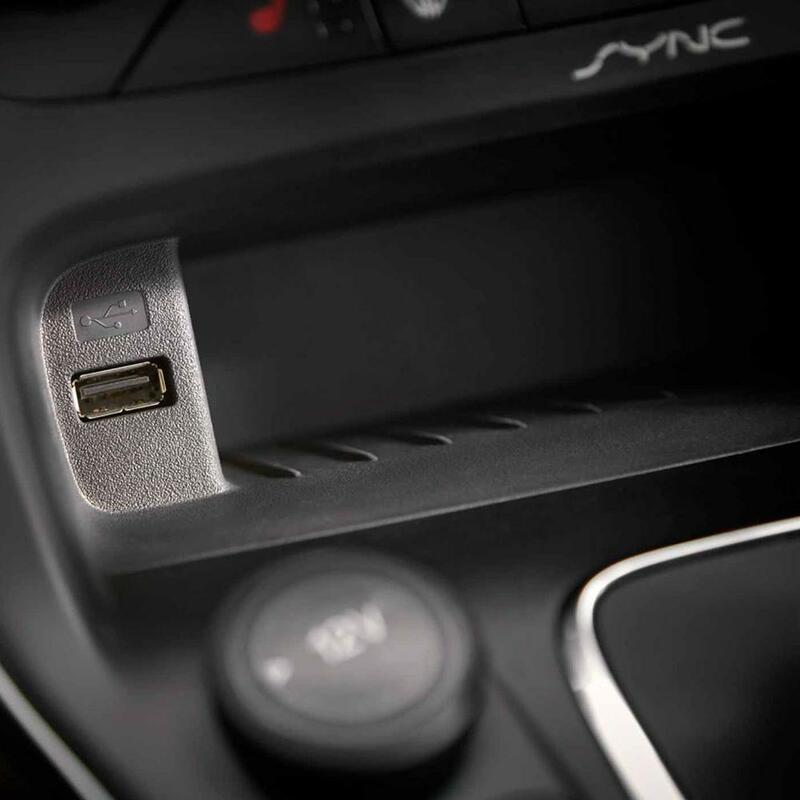 A state-of-the-art premium sound system designed with audiophiles in mind - enjoy concert-quality sound standard on the 2018 Ford Focus3. Want it on the 2019 Honda Civic Sedan? You'll have to pay extra. 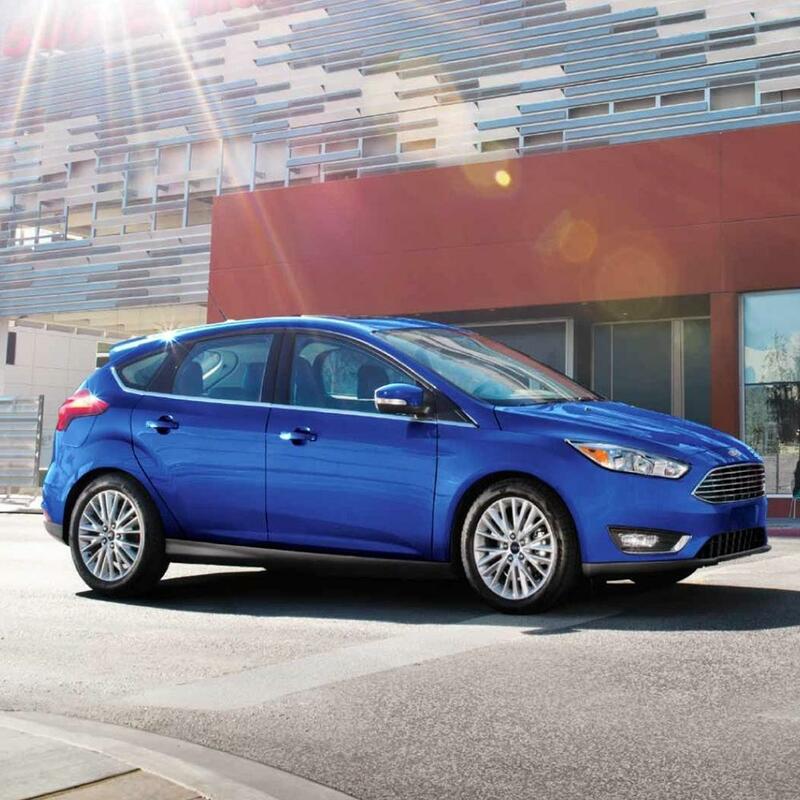 No more parallel parking jitters - the Rear Parking Aid, standard on the 2018 Ford Focus3, can help guide you into the perfect parking spot, signaling when you're getting too close to the curb, or other cars. Unless you enjoy the parallel parking jitters, in which case, choose the 2019 Honda Civic Sedan, and don't pay extra for the rear parking aid option. Stopping power is important too, and the clear winner in this category is the 2018 Ford Focus4, with 34 more horses in braking power per ton than 2019 Honda Civic Sedan6, giving you confidence on even the steepest of grades. Want more power and higher top speeds? Consider the 2018 Ford Focus4, boasting 176 more horses and 85 more horses per ton than the 2019 Honda Civic Sedan5. 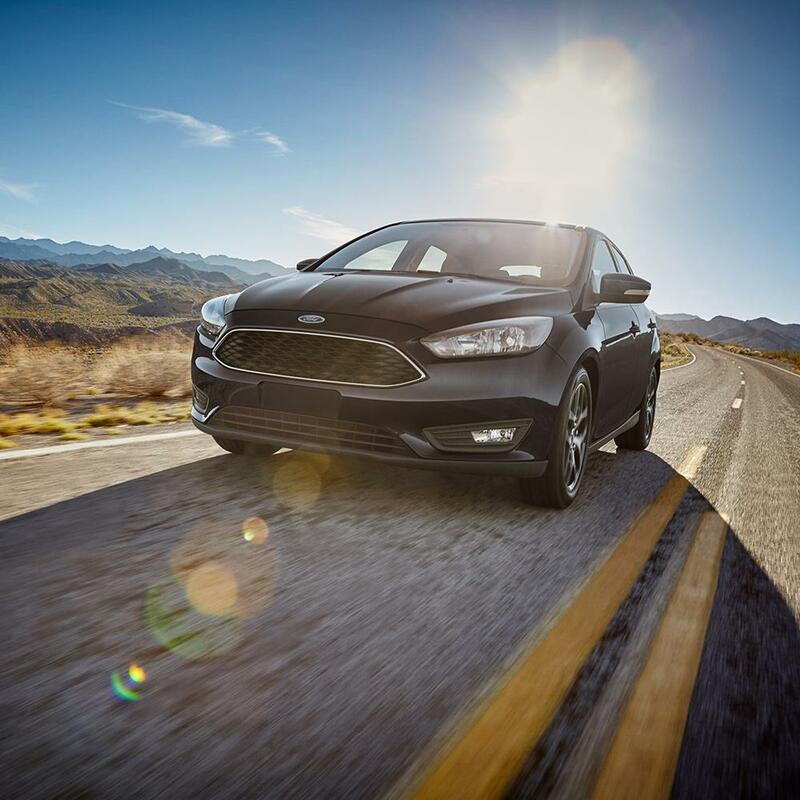 The 2018 Ford Focus's4 increased torque - 3504 lb.-ft. vs. 1625 lb.-ft. - can mean the difference between easy going and a sluggish ride. The 2018 Ford Focus's4 optional all-wheel drive makes it the clear choice for anyone who loves off-roading, or simply staying on the road in slippery conditions. Offering 2 more inches in combined rear head and rear leg room than the 2019 Honda Civic Sedan6, the 2018 Ford Focus9 is roomy enough for even the tallest of your passengers to travel in comfort. Bye-bye cramped "airplane-legs," hello rear passenger comfort. The 2018 Ford Focus9 is priced at $1,500 less than the 2019 Honda Civic Sedan6 - that's some pretty sizable savings. In the very unlikely event you'll need it, help is just a phone call away, 24 hours a day, 7 days a week, with the 2018 Ford Focus's9 Roadside Assistance, standard for 2 years longer than 2019 Honda Civic Sedan6. If you're driving a 2018 Ford Focus11, and stray from your lane, no worries: the optional Lane Departure Warning System will give you an audio alert, possibly helping avert an accident. If you're driving a 2019 Nissan Sentra, this extra layer of safety isn't even an option. Who says you can't have both luxury and eco-friendly fuel efficiency? 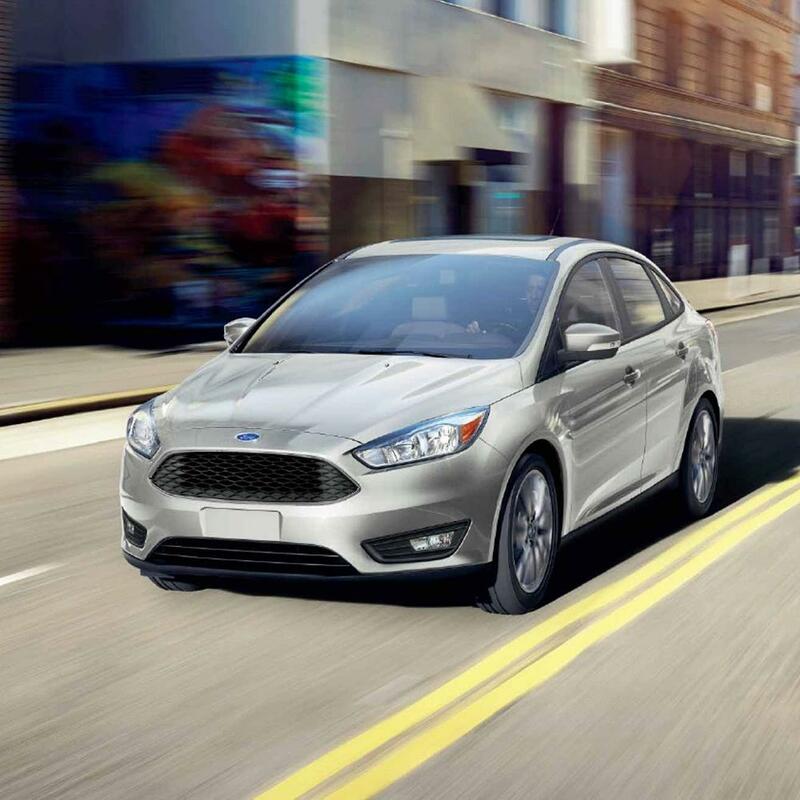 The 2018 Ford Focus2 offers more miles per gallon both in the city and on the highway than the 2019 Nissan Sentra3 - 1 more and 3 more MPGs, respectively - meaning you'll use less fuel and emit fewer greenhouse gases, while still enjoying the luxury and performance you've come to expect from Ford. Bravo! Is it possible to get increased visibility while using less energy? With the HID Headlights that come standard on the 2018 Ford Focus4, the answer is yes. On the 2019 Nissan Sentra, those brilliant, energy-efficient HID headlights are a pricey add-on. No more parallel parking jitters - the Rear Parking Aid, standard on the 2018 Ford Focus5, can help guide you into the perfect parking spot, signaling when you're getting too close to the curb, or other cars. Unless you enjoy the parallel parking jitters, in which case, choose the 2019 Nissan Sentra, and don't pay extra for the rear parking aid option. Stopping power is important too, and the clear winner in this category is the 2018 Ford Focus6, with 31 more horses in braking power per ton than 2019 Nissan Sentra8, giving you confidence on even the steepest of grades. Want more power and higher top speeds? Consider the 2018 Ford Focus6, boasting 162 more horses and 79 more horses per ton than the 2019 Nissan Sentra7, 8. Offering 2 more inches in combined rear head and rear leg room than the 2019 Nissan Sentra13, the 2018 Ford Focus12 is roomy enough for even the tallest of your passengers to travel in comfort. Bye-bye cramped "airplane-legs," hello rear passenger comfort. In the very unlikely event you'll need it, help is just a phone call away, 24 hours a day, 7 days a week, with the 2018 Ford Focus's12 Roadside Assistance, standard for 2 years longer than 2019 Nissan Sentra13. The 2018 Ford Focus's5 optional active Blind Spot Monitoring System warns you when a vehicle enters your blind spot, providing a little more peace of mind. Want that extra security on the Corolla? Blind Spot Monitoring isn't even an option on the 2019 Toyota Corolla. Is it possible to get increased visibility while using less energy? With the HID Headlights that come standard on the 2018 Ford Focus4, the answer is yes. On the 2019 Toyota Corolla, those brilliant, energy-efficient HID headlights are a pricey add-on. The refinement and luxury of leather seating is a standard feature in the 2018 Ford Focus5, but it's only available as an add-on option in the 2019 Toyota Corolla. A match made in heaven: warm in one zone, cool in another, giving each occupant control over their own climatic comfort. On the 2018 Ford Focus6, multi-zone climate control comes standard... but not on the 2019 Toyota Corolla. Getting where you're going has never been easier, with turn-by-turn directions and other features of the 2018 Ford Focus's4 standard on-board navigation system. If you want the convenience and peace of mind of an on-board nav system in the 2019 Toyota Corolla7, you'll have to pay extra for it. A state-of-the-art premium sound system designed with audiophiles in mind - enjoy concert-quality sound standard on the 2018 Ford Focus6. 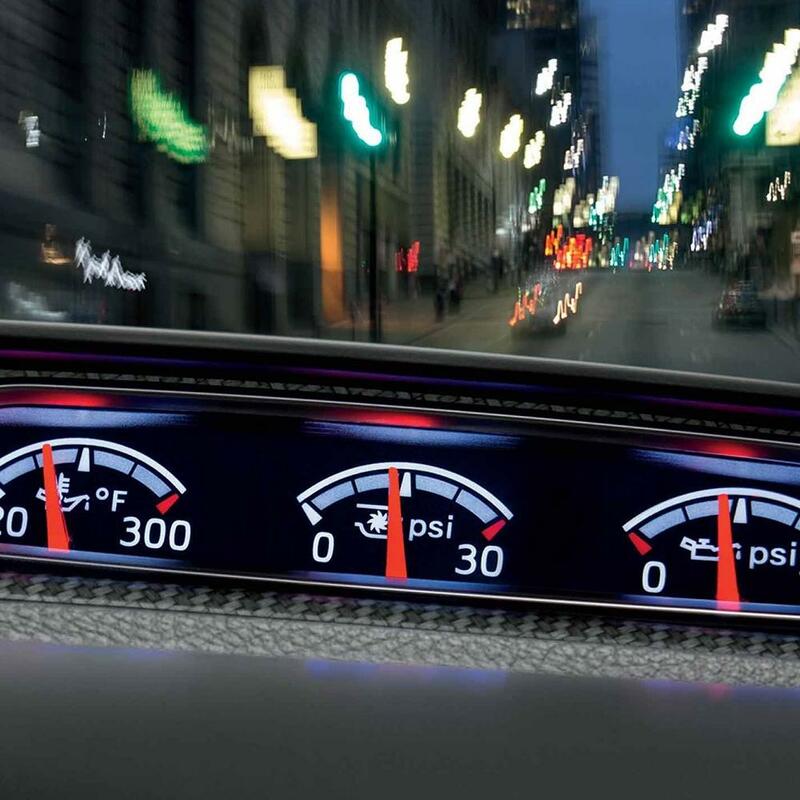 Want it on the 2019 Toyota Corolla? You'll have to pay extra. 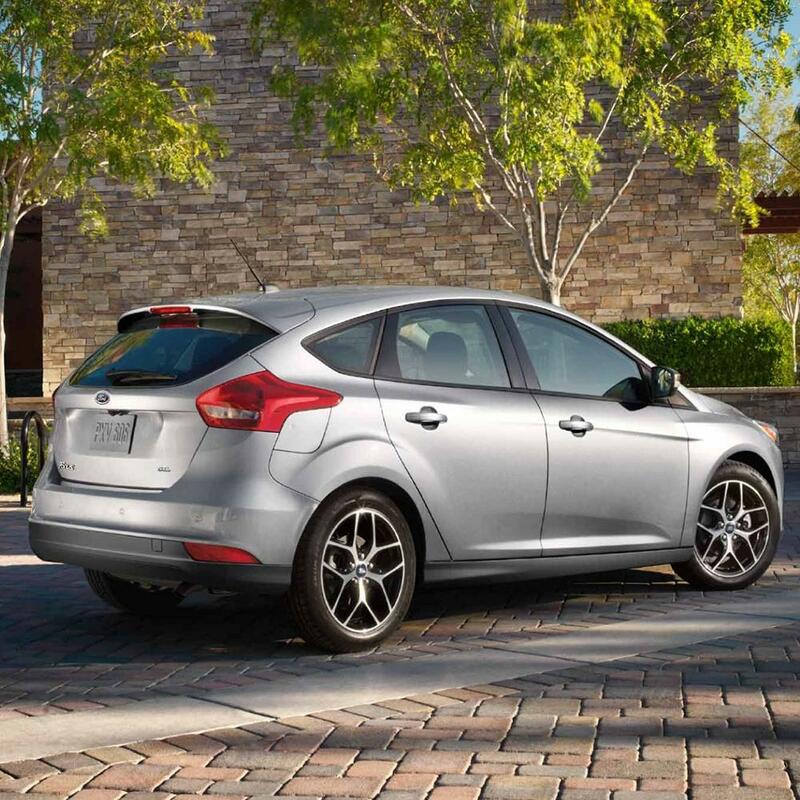 No more parallel parking jitters - the Rear Parking Aid, standard on the 2018 Ford Focus6, can help guide you into the perfect parking spot, signaling when you're getting too close to the curb, or other cars. Unless you enjoy the parallel parking jitters, in which case, choose the 2019 Toyota Corolla, and don't pay extra for the rear parking aid option. Stopping power is important too, and the clear winner in this category is the 2018 Ford Focus8, with 45 more horses in braking power per ton than 2019 Toyota Corolla9, giving you confidence on even the steepest of grades. Want more power and higher top speeds? Consider the 2018 Ford Focus8, boasting 210 more horses and 106 more horses per ton than the 2019 Toyota Corolla10. 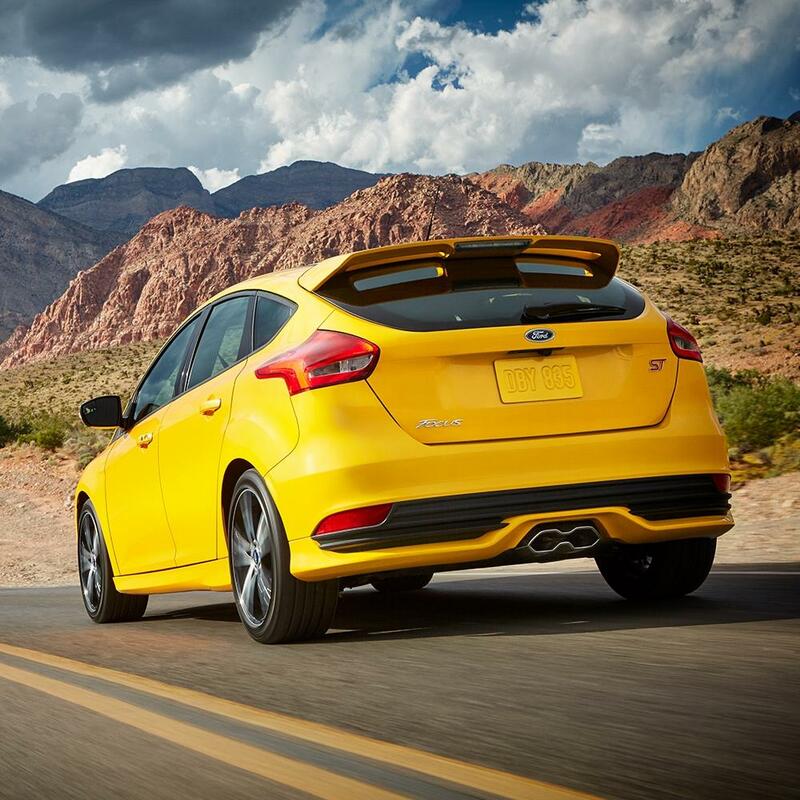 The 2018 Ford Focus's8 increased torque - 3508 lb.-ft. vs. 1289 lb.-ft. - can mean the difference between easy going and a sluggish ride. The 2018 Ford Focus's8 optional all-wheel drive makes it the clear choice for anyone who loves off-roading, or simply staying on the road in slippery conditions. 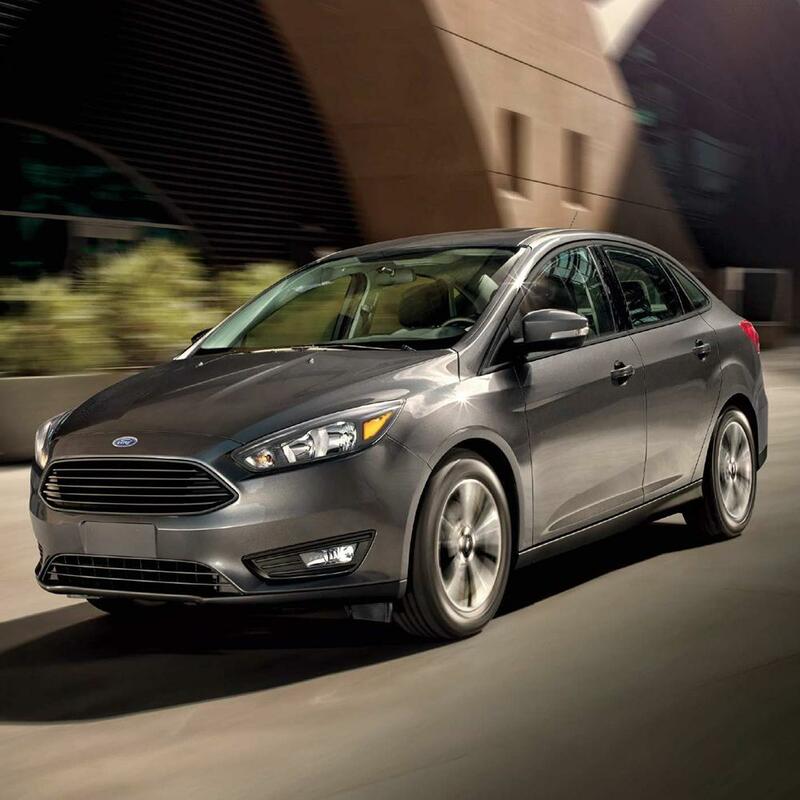 Enjoy the increased safety, fuel economy, and yes, fun, of the 2018 Ford Focus's2 optional turbocharged engine. Sadly, turbo isn't an option on the 2019 Toyota Corolla. Tired of hunching over the steering wheel, or scooting the driver's seat all the way back? No worries. The 2018 Ford Focus14 offers 2 more inches of combined front head and leg room than the 2019 Toyota Corolla15, making the awkward hunch-back driving pose a thing of the past. Offering 2 more inches in combined rear head and rear leg room than the 2019 Toyota Corolla15, the 2018 Ford Focus12 is roomy enough for even the tallest of your passengers to travel in comfort. Bye-bye cramped "airplane-legs," hello rear passenger comfort. In the very unlikely event you'll need it, help is just a phone call away, 24 hours a day, 7 days a week, with the 2018 Ford Focus's12 Roadside Assistance, standard for 3 years longer than 2019 Toyota Corolla13. 11 - Learn more at: http://www.safercar.gov/Safety+Ratings. 16 - Based on the price of $40.00 to fill the gas tank. Is it possible to get increased visibility while using less energy? With the HID Headlights that come standard on the 2018 Ford Focus2, the answer is yes. On the 2019 Kia Forte, those brilliant, energy-efficient HID headlights are a pricey add-on. 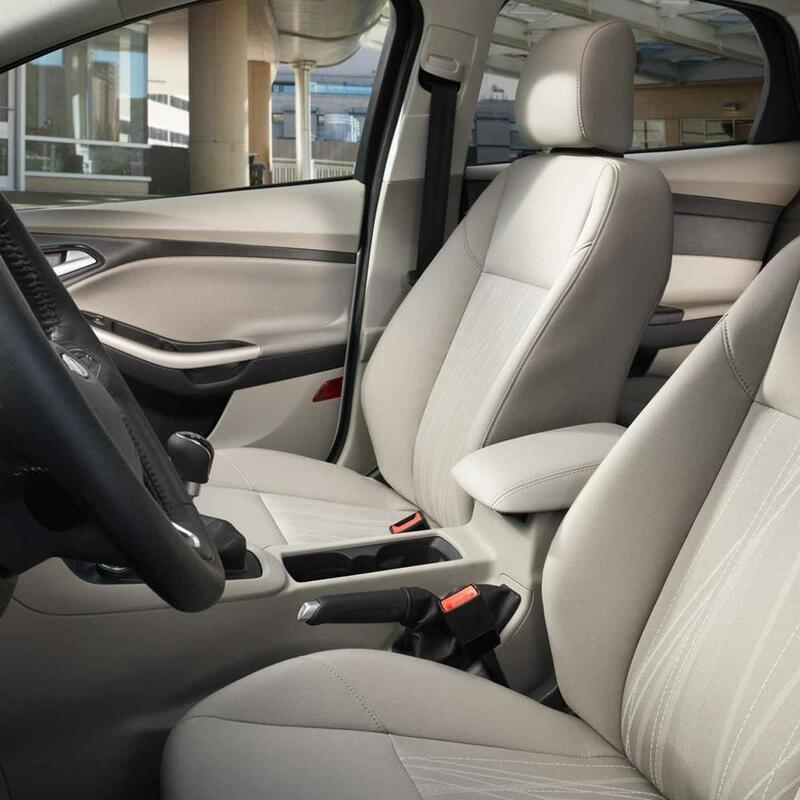 The refinement and luxury of leather seating is a standard feature in the 2018 Ford Focus3, but it's only available as an add-on option in the 2019 Kia Forte. Getting where you're going has never been easier, with turn-by-turn directions and other features of the 2018 Ford Focus's2 standard on-board navigation system. If you want the convenience and peace of mind of an on-board nav system in the 2019 Kia Forte4, you'll have to pay extra for it. A state-of-the-art premium sound system designed with audiophiles in mind - enjoy concert-quality sound standard on the 2018 Ford Focus5. Want it on the 2019 Kia Forte4? You'll have to pay extra. No more parallel parking jitters - the Rear Parking Aid, standard on the 2018 Ford Focus5, can help guide you into the perfect parking spot, signaling when you're getting too close to the curb, or other cars. Unless you enjoy the parallel parking jitters, in which case, choose the 2019 Kia Forte4, and don't pay extra for the rear parking aid option. 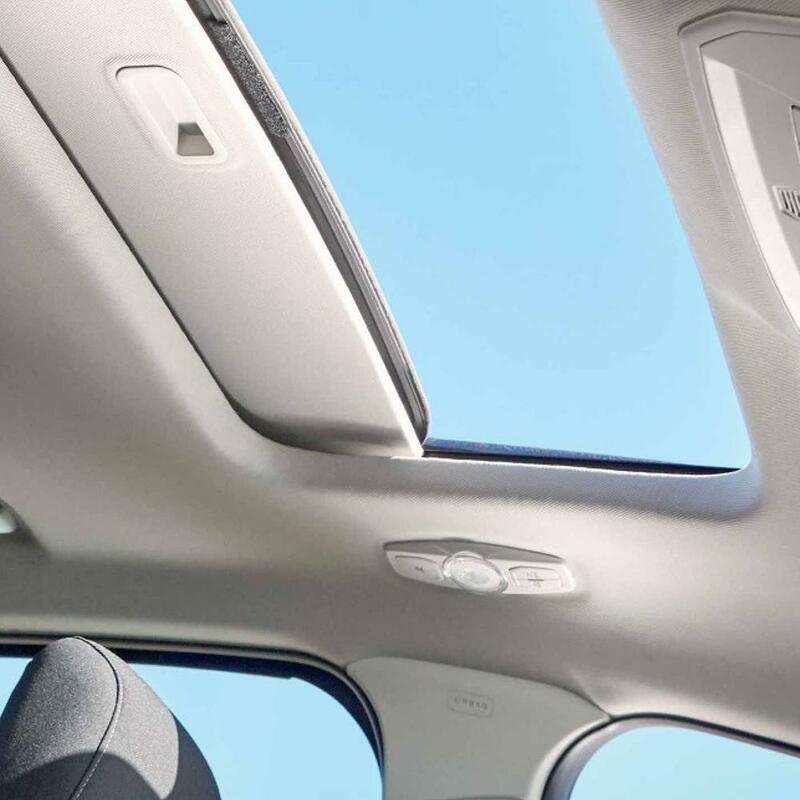 The 2018 Ford Focus's5 standard sunroof lets the light in on even the gloomiest day. Sadly, the 2019 Kia Forte's6 sunroof will cost you extra. Want more power and higher top speeds? Consider the 2018 Ford Focus7, boasting 203 more horses and 95 more horses per ton than the 2019 Kia Forte8. The 2018 Ford Focus's7 optional all-wheel drive makes it the clear choice for anyone who loves off-roading, or simply staying on the road in slippery conditions. 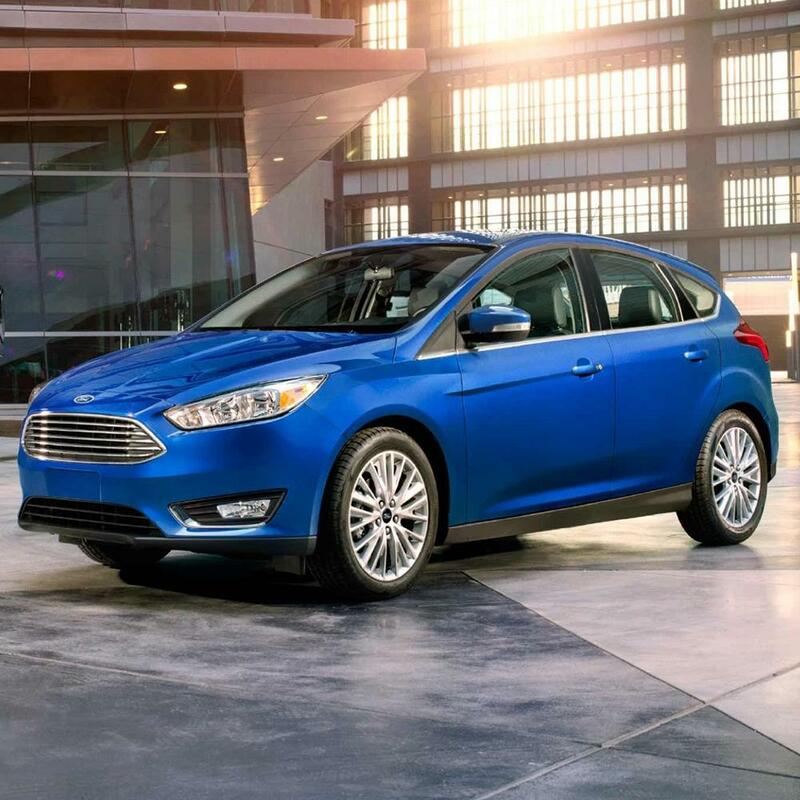 Enjoy the increased safety, fuel economy, and yes, fun, of the 2018 Ford Focus's11 optional turbocharged engine. Sadly, turbo isn't an option on the 2019 Kia Forte. Tired of hunching over the steering wheel, or scooting the driver's seat all the way back? No worries. 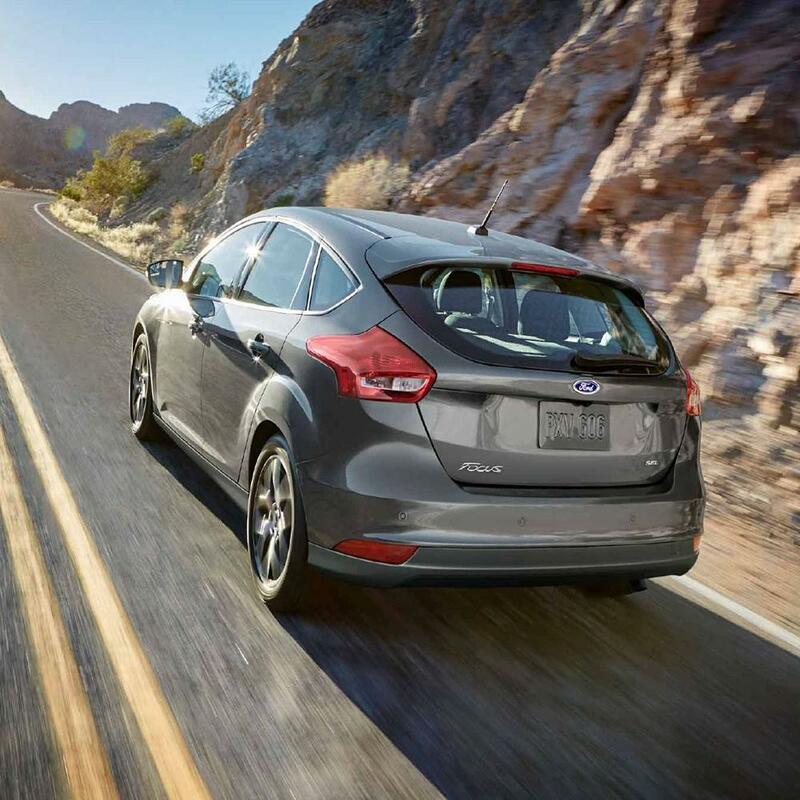 The 2018 Ford Focus12 offers 2 more inches of combined front head and leg room than the 2019 Kia Forte8, making the awkward hunch-back driving pose a thing of the past. Offering 2 more inches in combined rear head and rear leg room than the 2019 Kia Forte8, the 2018 Ford Focus10 is roomy enough for even the tallest of your passengers to travel in comfort. Bye-bye cramped "airplane-legs," hello rear passenger comfort. 9 - Learn more at: http://www.safercar.gov/Safet. Is it possible to get increased visibility while using less energy? With the HID Headlights that come standard on the 2018 Ford Focus4, the answer is yes. On the 2018 Mazda3 4-Door, those brilliant, energy-efficient HID headlights are a pricey add-on. 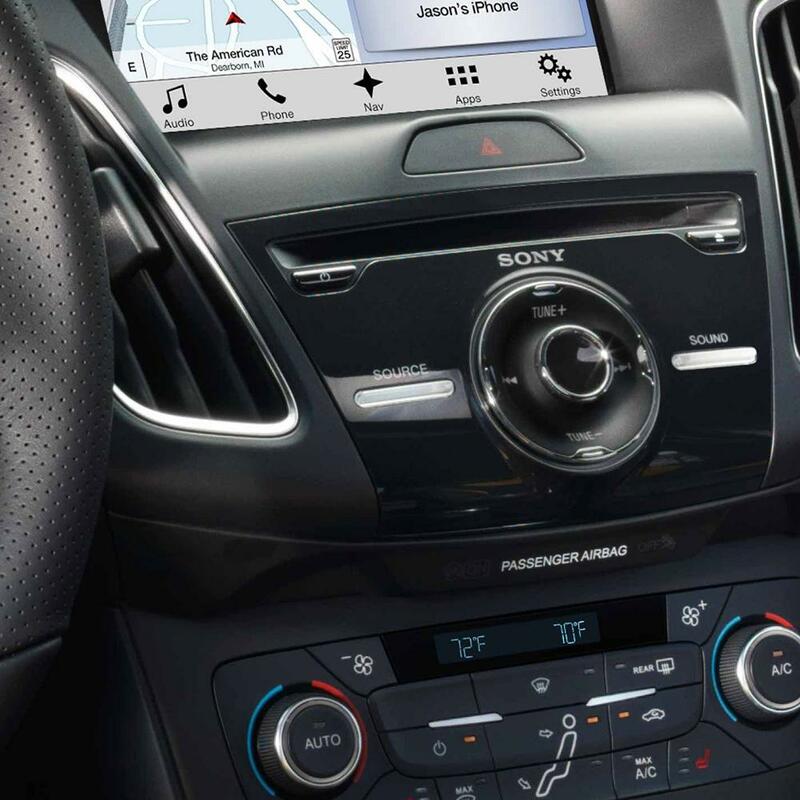 Getting where you're going has never been easier, with turn-by-turn directions and other features of the 2018 Ford Focus's4 standard on-board navigation system. If you want the convenience and peace of mind of an on-board nav system in the 2018 Mazda3 4-Door5, you'll have to pay extra for it. No more parallel parking jitters - the Rear Parking Aid, standard on the 2018 Ford Focus6, can help guide you into the perfect parking spot, signaling when you're getting too close to the curb, or other cars. Unless you enjoy the parallel parking jitters, in which case, choose the 2018 Mazda3 4-Door3, and don't pay extra for the rear parking aid option. Stopping power is important too, and the clear winner in this category is the 2018 Ford Focus7, with 34 more horses in braking power per ton than 2018 Mazda3 4-Door8, giving you confidence on even the steepest of grades. Want more power and higher top speeds? Consider the 2018 Ford Focus7, boasting 166 more horses and 82 more horses per ton than the 2018 Mazda3 4-Door8. 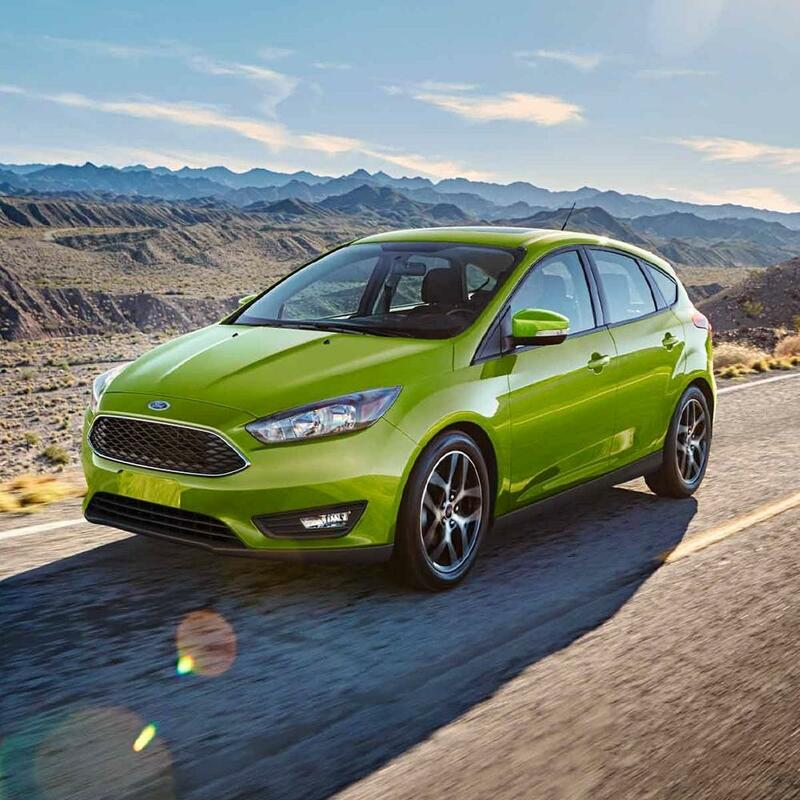 The 2018 Ford Focus's7 increased torque - 3507 lb.-ft. vs. 1858 lb.-ft. - can mean the difference between easy going and a sluggish ride. 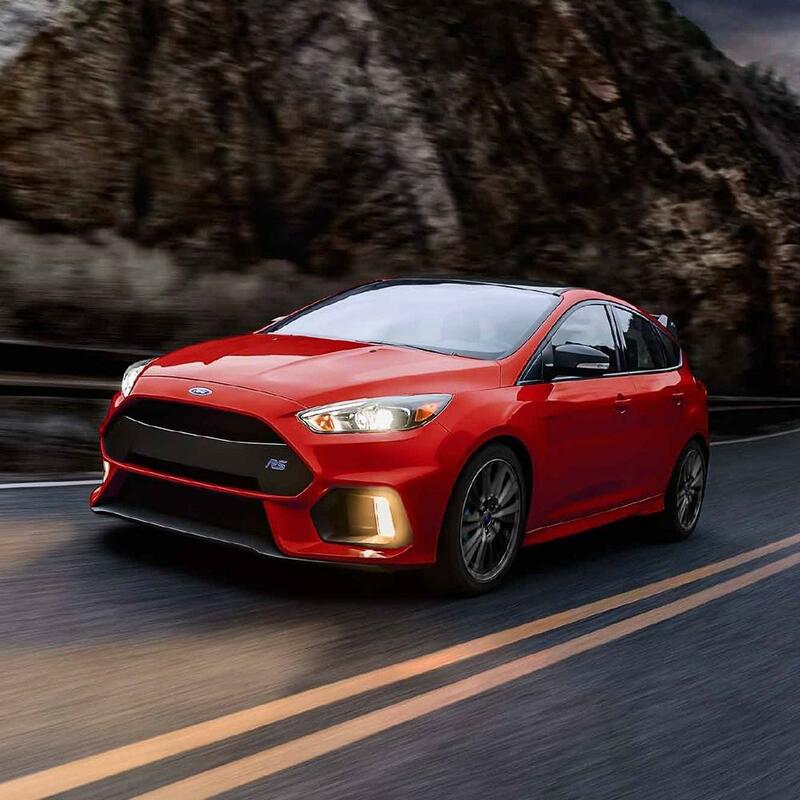 Enjoy the increased safety, fuel economy, and yes, fun, of the 2018 Ford Focus's2 optional turbocharged engine. Sadly, turbo isn't an option on the 2018 Mazda Mazda3 4-Door. Tired of hunching over the steering wheel, or scooting the driver's seat all the way back? No worries. The 2018 Ford Focus12 offers 2 more inches of combined front head and leg room than the 2018 Mazda3 4-Door3, making the awkward hunch-back driving pose a thing of the past. Offering 2 more inches in combined rear head and rear leg room than the 2018 Mazda3 4-Door3, the 2018 Ford Focus10 is roomy enough for even the tallest of your passengers to travel in comfort. Bye-bye cramped "airplane-legs," hello rear passenger comfort. No matter what you're stowing, from groceries to gardening gear, the 2018 Ford Focus's10 increased storage volume means you'll have more room for all your stuff, from apples to zinnias, and everything in between. The 2018 Ford Focus's10 MSRP is slightly less than the 2018 Mazda3 4-Door3 - about $145 less - but to a budget-conscious buyer, every penny counts. In the very unlikely event you'll need it, help is just a phone call away, 24 hours a day, 7 days a week, with the 2018 Ford Focus's10 Roadside Assistance, standard for 2 years longer than 2018 Mazda3 4-Door3.